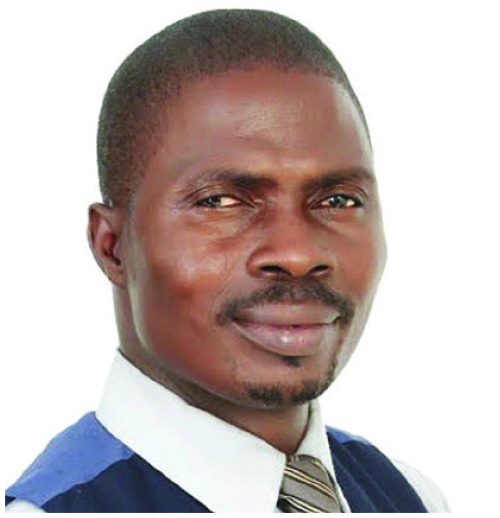 Prophet Joseph Oladipupo, also known as Ogunse, is General Overseer, Faith and Victory Church, Akure, Ondo State. He spoke on the state of the in this interview with BAMIGBOLA GBOLAGUNTE. Boko Haram and Fulani herdsmen are threats to the security of Nigeria, is there any spiritual solution to the problem? Let me tell you this truth, Boko Haram and Fulani herdsmen’s attacks will not end till the end of this government. The present government under the leadership of President Muhammadu Buhari cannot conquer Boko Haram and Fulani herdsmen’s attacks. The only solution to insecurity in Nigeria is God. We should call upon God and ask for His mercies. What is God saying concerning the general elections? I had sought the face of God concerning Nigeria and the general elections, and as usual, God has spoken again. He told me in 2015 that General Muhammadu Buhari would win the presidential election. This year again, Buhari will win the presidential election. Although there will be challenges for him, notwithstanding, he will be declared winner. What is God saying about Nigeria this year? God has spoken concerning our country Nigeria and He specifically told me that there would be plenty in Nigeria this year. Nigerians will experience plenty this year. However, there will be fire disaster in many parts of the country. I want to advise Nigerians to be careful with the way they handle fire. This year will also be a year of reward for those who love God in Nigeria. I can authoritatively tell you that 2019 is a year of reward for us in Nigeria and a year of reward for Nigeria as a nation. It is a year of vengeance as well. Anyone who has done anything bad in the past should expect vengeance this year. It is going to be a year that everyone will reap whatever he or she has sown. What is the fate of former Vice President Atiku Abubakar? Alhaji Atiku Abubarkar cannot rule this country. He made a mistake by leaving the All Progressives Congress (APC). He didn’t receive divine guidance before he left APC for the Peoples Democratic Party (PDP). God has not really told me what will become of him but he is not ordained to rule this country. The seat of the President of this great nation is in the hands of the prophet of God and God will not do a thing unless He reveals to His prophets. I will advise Atiku to forget about his ambition of ruling this country for now. Former President Olusegun Obasanjo has advised President Buhari not to contest, what is your reaction? Former President Olusegun Obasanjo needs to be careful ahead of the general elections. He should be careful of his dealings with people. Many people are after him, so he needs to be closer to God than before. How do see the political instability in the country? The APC will have a lot of challenges this year. These challenges will shake the party and affect its stand in many parts of the country before the elections. The party leadership will be affected by serious internal political crisis. There will even be attempts to take over power from the APC but these attempts will fail at the end of the day. What happens if your prophecies do not come to pass? God is the only person who can make any prophecy to come to pass. He showed me the vision and the fulfillment of the vision is in His hands and not in the hands of any of His creatures. If God doesn’t want any prediction or prophesy to come to pass, He will change such prophecy and this can be done through prayers and His mercies. Do you believe there are fake prophets and prophecies? I believe there are fake prophets and there are fake prophecies. That had been since the foundation of the world and it will continue to be so. As long as the world remains there will be fake prophets and fake prophets will continue to make fake prophecies.